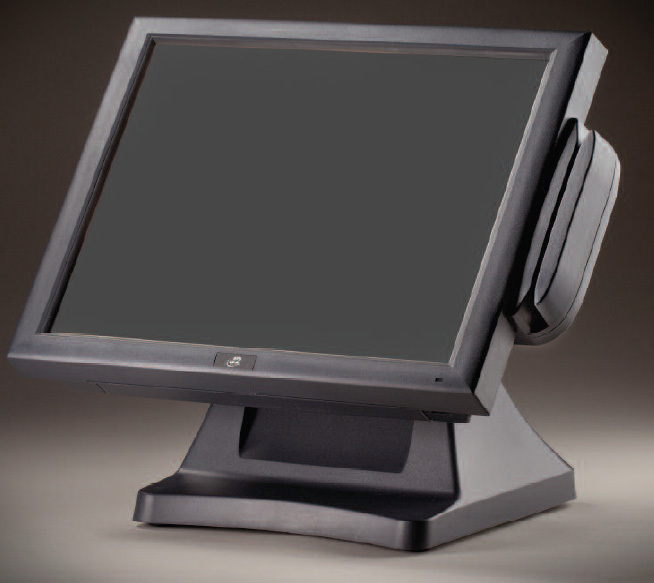 The new J2 580RT offers an outstanding integrated touch screen unit with a number of versatile VESA mounting option. With an iimpressive 3 year warranty, the J2 is a reliable workhorse suitable for the most demanding environment. LCD TouchScreen 15" Sealed Resistive Tilting Touch Screen. Brightness 250 nit, Dual Bulb Brightness. 1 x VGA Port, 1 x Printer Power Port, 1 x 10/100LAN, 1 x Internal Speaker, 1 x Mini PCI Slot. 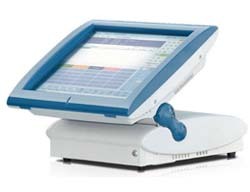 OS Support Windows CE.NET 5.0, Xpe, CF, XP,Vista, Linux, WEPOS & DOS. OPOS Driver Supported. Dimensions 310mm x 365mm x 220mm. Warranty 3 year RTB as standard, On site support available. Options Biometric Fingerprint Reader, Dallas Key, Wireless LAN, Customer Display, VESA Pole Mount. The Aures Odysse offers a stylish alternative with up to 8 colour options to blend perfectly with every kind of retail style, decor and atmosphere. The Odysse is also backed by an impressive 3 year warranty. Dimensions 418mm x 361mm x 222mm. 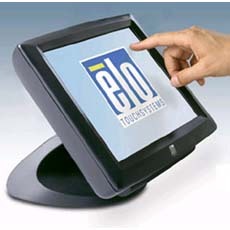 Touch screen monitors such as the Elo1229 allow you to put together a 'separates' system - useful if you have existing PC equipment that you want to re-use. This model is backed by a 5year warranty. LCD Touch Screen 12.1" Active Matrix TFT LCD. Dimensions 353mm x 395mm x300mm. Warranty 5 year RTB as standard, On site support available. Options Removable Base 75mm VESA Mount.